Kazakh Minister of Foreign Affairs Yerlan Idrisov will visit a number of European countries in the second half of March, Foreign Ministry spokesman Zhanbolat Usenov said at a briefing in Astana on Friday. Yerlan Idrisov will visit Helsinki on March 18-19 at the invitation of his counterpart Foreign Minister Erkki Tuomioja. "During the visit, the Foreign Minister of Kazakhstan will hold a series of meetings with representatives of Finnish political and business circles. The main topic of the talks with the Minister for European Affairs and Foreign Trade of Finland Alexander Stubb will be the status and prospects of bilateral cooperation in the context of the upcoming state visit of the President of Finland Sauli Niinistö to Kazakhstan on April 16-18," Usenov said. 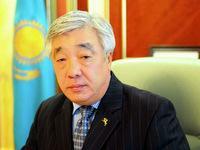 According to him, an important part of the visit's program will be the grand opening of the Kazakh Embassy in Finland. Development of inter-parliamentary cooperation will be discussed at a meeting with Finnish Parliamentary Speaker Eero Heinaluoma. During negotiations with the President of Finland Sauli Niinistö, the parties will discuss a wide range of issues of bilateral trade, investment and technological cooperation. On March 20, Yerlan Idrisov will pay an official visit to Sweden. "During a visit to Stockholm, the Kazakh Foreign Minister will hold talks with Sweden's Foreign Minister Carl Bildt," the spokesman of the Foreign Ministry said. As part of the meeting, issues of bilateral cooperation in political, trade and economic spheres, as well as cooperation in the international arena on major international issues will be discussed. On March 21, Yerlan Idrisov will visit the Kingdom of Norway. A series of bilateral meetings with the Vice-President of the Storting (Parliament) Marit Nybakk, Norwegian Foreign Minister Espen Barth Eide, as well as other public and political figures of Norway are planned within this visit," Usenov said. According to him, the sides will discuss cooperation on political, economic, trade and energy sectors, as well as cooperation on important international issues. During the meeting with the Minister of Foreign Affairs of Norway, the two foreign ministers will discuss topical issues of the international agenda, including nuclear non-proliferation and disarmament, the situation in Afghanistan and Syria. Following the meeting, a memorandum of understanding between the two ministries is expected to be signed, the purpose of which is to launch an intergovernmental commission between the two countries. During a meeting with the Vice President of the Norwegian Storting Marit Nybakk, the sides will discuss issues of inter-parliamentary cooperation between the two countries, as well as the initiative of the two countries on non-proliferation and disarmament. "During the talks with the Deputy Minister of Petroleum and Energy, the parties plan to discuss the prospects of holding the international exhibition EXPO-2017 in Astana and consider transferring Norwegian experience in energy efficiency, environmental protection and "green technologies" - Usenov said.